Welcome to Vend’s 2017 Retail Trends and Predictions report. This year’s forecasts will highlight the trends and issues (including personalization, in-store experiences, and developments in payments technology) that we think will have major impacts on the retail industry over the coming 12 months. Check out our retail trends and predictions for 2019. for more updated content. 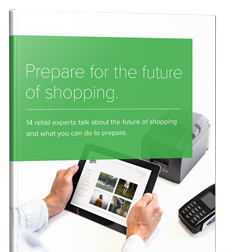 Free whitepaper: Prepare for the future of shopping. Packed with expert commentary and forward-thinking advice, this whitepaper arms you with the knowledge you need to stay competitive in the years ahead. 1. Retailers who promote product quality, transparency, & sustainability will flourish. These days, you can find pretty much any information you want online — and because that’s the case, shoppers are no longer content not knowing everything about the products they’re purchasing. The proliferation in recent years of transparent, sustainably conscious companies such as Warby Parker and Everlane has initiated a radical shift in the retail industry — one we can expect to gain greater traction in 2017. Consumers are becoming more interested and invested in where their money’s going rather than simply what it’s buying, which means it’s not enough anymore to sell high-quality products with no information on their backstories. Instead, shoppers have begun gravitating toward retailers who reveal all the inner workings of their operations. 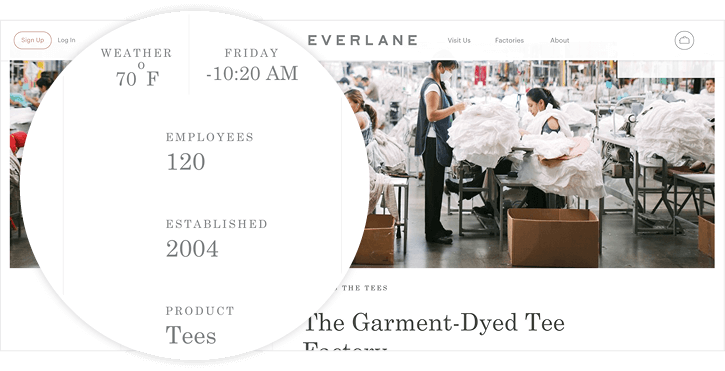 Everlane, for example, details the entire production costs of their products: materials, labor, duties, and markup. They also include information on the factories in which products are made, complete with pictures and videos of the employees and factories themselves. This way, Everlane’s customers know exactly what’s gone into creating the product they’re thinking of buying, and they can feel better about the ethics and background involved in their purchases. 2. Stores providing unique in-store experiences will thrive. Retailers who can provide unique in-store experiences will be king in 2017. After all, the only way to justify a customer making the trip to your store rather than shopping online is to give him an experience he can’t get anywhere else. When we hear “in-store experience” with relation to retail, most of us think big: Urban Outfitters buying the fast-casual Pizzeria Vetri to incorporate into its stores, smart dressing rooms in Rebecca Minkoff locations. But that’s only one aspect of the two-pronged experience trend. The other? Finding ways to match and exceed the seamlessness of online shopping. Most retailers are attempting to do this by creating omnichannel shopping experiences — in other words, by bringing the amenities of the online world into brick and mortar stores. Let’s take Crate + Barrel, for example. The homeware retailer recently tested a program called “Mobile Tote” in which shoppers browse the shelves using store-provided tablets. Customers can use the tablets to scan barcodes and learn additional information about products, to add items to wishlists, and to enlist the help of sales associates in gathering those wishlist items. As in-store experiences become increasingly important to consumers, we can expect to see more retailers invest in similar initiatives. 3. Retailers across the board will adopt mobile payment solutions. Mobile payments are the way of the (immediate) future. In 2017, we’ll see retailers who haven’t already adopted them make efforts to do so. At the end of 2016, projections say there will be 447.9 million mobile payment users worldwide. TechCrunch estimates that 70 percent of all mobile users in the United States will make a mobile payment in 2017, mobile payments in general next year are expected to total $60 billion, and if you take Business Insider’s word for it, by 2020 mobile payments will account for $503 billion in sales. It’s pretty clear where the retail industry is headed in terms of payments — at least for now. Retailers who don’t soon implement mobile payment solutions will fall behind and risk losing out on sales. And if the predictions are any indication, missing out on those sales could mean missing out on a lot of money. We’re betting that retailers across the board will get on the mobile payments train by adopting whichever type works best for them, such as mobile POS systems, custom mobile payment apps (like Kohl’s Pay), and third-party options like Apple Pay. “The growth of contactless transactions — whether it’s a card you can tap-and-pay with or a mobile device with a digital wallet — will accelerate in 2017. We’ve been seeing a consistent, double-digit growth rate for contactless transactions in Canada. The U.S. will also spur this growth as it continues its transition to EMV. Businesses that are making the transition need to think ahead and seek solutions that will support contactless to future-proof their EMV upgrade. 4. Smaller stores are in; larger stores are out. Evolving consumer preferences will push even more “big box” retailers to focus their attentions on smaller-format stores. When it comes to store size, less will be more in 2017. We’ve already seen a shift here, with retail giants such as Target, Best Buy, and Ikea investing in smaller-format stores to accommodate consumer desire for more curated selections. To further understand why shoppers seem to be moving away from larger stores, we need to look at another big trend in the retail industry: the importance of convenience and accessibility. When people can shop online and have items delivered to their homes in a matter of hours, it takes the promise of a quick, easy experience to entice them to make the trip to an actual physical location. Consumers don’t want to waste precious time wandering around the endless aisles of enormous stores anymore. Instead, they want ease and efficiency in the form of smaller stores with specialized selections. There are other benefits to smaller stores as well. They cost less money to open and operate, and they take up less space in urban environments, allowing retailers to capitalize on the potential of large population centers. 5. Personalization will become increasingly important to consumers. Personalization in retail has been around for years now. Unfortunately, the tactics retailers once used to speak directly to customers (such as using first names in an email) have become outdated and transparent in the eyes of those very customers. At the same time, though, consumers are searching more and more for personalized shopping experiences they can really connect with, so 2017 should see retailers testing new ways to appeal to this desire. One retailer at the forefront of this trend? Nike. The athleticwear brand has always been innovative when it comes to personalization (allowing shoppers to customize their sneakers, etc. ), but they’ve stepped up their game even further with the (mostly free) fitness videos on their Nike+ app and boundary-pushing products such as the custom-lacing HyperAdapt sneakers. Of course, Nike is massive and financially successful, so they have the resources to push personalization to its limits. But smaller retailers can take advantage of this trend, too. Some ideas? Targeting users (through things like purchase histories) with content tailored to their preferences, and using location-based technology such as beacons to push personalized offers to customers’ mobile devices.There are other benefits to smaller stores as well. They cost less money to open and operate, and they take up less space in urban environments, allowing retailers to capitalize on the potential of large population centers. “Consumers are coming to expect much more from retailers’ loyalty programs. They’re looking for more personalization and money-can’t-buy offers. According to a survey from Virtual Incentives, 56% of consumers said receiving a personalized incentive would improve consideration of the brand. The currency for getting access to a customer’s data that makes these personalized rewards and offers possible is generally in the form of a loyalty program. Consumers are more and more prepared to give access to their data for a fair loyalty offering or personalized incentive. According to Accenture, 54% of shoppers said they are open to sharing personal information and shopping preferences with retailers in order to receive personalized offers, which has increased from 33% in 2014. 6. Same-day shipping will become more prominent. Free shipping is no longer an option; it’s a requirement in today’s world. The name of the new game? Speed. Consumers might not want to actually make the trip to physical locations, but they still want the instant gratification of taking their purchases home immediately. The best way to accommodate this? Same-day shipping. Implementing sameay shipping isn’t always the most practical option for retailers, as there a number of factors to consider (Does demand merit the logistical effort? Is fulfillment feasible based on the location(s) of the retailer? ), but it’s obvious that shoppers’ demand for lightning-fast delivery is here to stay. And as a result, retailers will have to find ways to meet that demand. 7. Retailers will continue to invest in omnichannel. Omnichannel is now the standard. Retailers who continue to invest in their omnichannel strategies will succeed; those that don’t will fail. In 2017, we can expect retailers worldwide to push their omnichannel strategies further than ever before in the pursuit of truly seamless shopping experiences. The retail world is rife with examples of this. Two big ones? Domino’s has recently introduced ordering via Facebook Messenger, and Starbucks’ mobile app allows customers to order and pay before picking up in-store. Retailers use Instagram to sell goods, and they’re increasingly taking advantage of apps like Snapchat to give customers behind-the-scenes looks at their operations and to build loyal followings. Moving forward, these omnichannel efforts will be the difference between the retailers who succeed and the ones who fail. “Business owners have long seen the value in higher rents that bring access to more foot traffic. It’s expensive to be on a main drag, but it’s an accepted cost of doing business. They also see the value in kitting out their physical space with a welcoming environment and paying more for experienced staff. But when it comes to small businesses investing in their digital platforms (aka the backbone of day-to-day operations), cheaper or free have traditionally been the go-to solutions. Buy a theme and jam a website together; just get it launched. Use a free appointment app to handle the bookings. It doesn’t matter — just get the customers lined up for the week. POS and inventory software? Nah, it’s all good: a terminal is enough to handle the payments. When a business calling itself a “premium retailer” or “service provider” cuts corners on the digital tools required to create an end-to-end premium experience, the criteria to be called “exceptional” cannot and will not be met. 8. Retailtainment will pervade the industry. The other aspect of that “in-store experience” trend? Retailtainment. Retailtainment, as the name suggests, is the fusion of retail and entertainment — an effort on the part of retailers to provide customers with fun, unique experiences that elevate shopping above anything it’s previously been. Retailtainment assumes that people are more likely to engage with retailers who incorporate lifestyle elements into their stores, such as boutique coffee shops or virtual reality experiences. Take iPic Theaters, for example. The company’s website greets browsers with the headline “Your Ultimate Night Out” — and they mean it. iPic combines the classic experience of moviegoing with luxurious seating, a “farm-to-glass” cocktail program, and state-of-the-art restaurants serving gourmet cuisine. Customers can even order food and drinks from their seats while they’re watching a movie. These innovative concepts provide enough incentives for people to make the trip to a physical location, and that’s why we’ll see more of them in the coming year. 9. Data will continue to be a significant component of retail success. More retailers will apply data to every part of the retail process, from the supply chain all the way to the post-purchase stage of the buyer’s journey. Retailers who make data-backed decisions will outperform those who don’t. More and more merchants will recognize this — which is why we think companies will double-down on data collection and analysis. JustFab is one example of a company that puts its customer data to good use. The fashion retailer uses style quizzes to learn more about its members and then makes recommendations based on each member’s preferences. JustFab also closely tracks the products each member browses, rejects, and buys — and then uses data to curate selections for each member. Using data to personalize customer experiences is just the beginning. Data analysis also plays a major role behind the scenes, especially when it comes to inventory management and merchandising. Retailers rely on data to forecast demand and to make important stock-control decisions. Have a look at what clothing company Patagonia is doing. Patagonia factors in current trends and historical data (among other things) to figure out which products to purchase and distribute in its stores. In doing so, the retailer’s able to accurately predict demand, keep stores stocked with the right merchandise, and minimize waste throughout the supply chain. “Using data is going to become such a key factor for success in growing your business. It influences so many important aspects of business: productivity, growth, innovation, and more. The volume and detail of data that companies are collecting, along with the rise of multimedia and social media use in retail, is only going to continue to fuel the growth of data in the future. 10. Specialty stores will be more productive than department stores. Specialty stores — those that focus on particular categories such as beauty products — will have a leg up in 2017 as consumer interests focus in on curated selections and localized wares. Look for specialty stores to win in the coming year. We have many reasons to believe this’ll be the case. Specialty stores tend to stock carefully curated selections (often of local wares and artisanal products), and they’re generally considered trendier than old-school department stores. These details cater to millennials — who are, of course, today’s most sought-after shoppers. Specialty stores also tend to provide better in-store experiences for their customers, with more knowledgeable staff, better prices, and more personalized service. By offering all this, specialty stores prove their advantages over department stores and develop direct relationships with their customers. Now, all this isn’t to say that department stores will die. Most of the big names (Bergdorf Goodman, Nordstrom, Macy’s) have recently implemented big changes to their businesses, all designed to revamp the fusty image associated with department stores. We can expect more of these changes — but in 2017, specialty stores will reign. 11. Retailers will turn to apps, services, and third parties to fulfill the needs of modern shoppers. The number of retail-centric apps will increase, and we can expect merchants to leverage them to stay competitive. It’s no secret that consumers these days are demanding more from retailers. Aside from shopping across multiple channels (i.e. brick-and-mortar, ecommerce, mobile, social), shoppers also want to get their hands on their purchases in the fastest, most convenient way possible (enter in-store pickup and same-day delivery). That’s a tall order, and no merchant can do it alone. That’s why we expect more retailers to rely on apps and third-party solutions to fulfill the demands of modern shoppers. 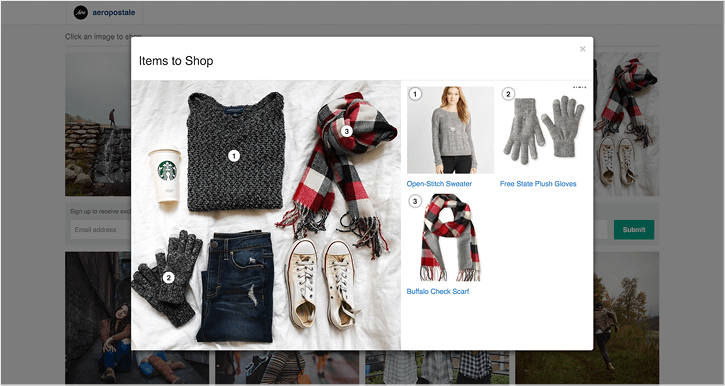 Check out what Aeropostale is doing. The company uses Like2Buy to make it easier for its Instagram followers to shop its feed. If you see a product you like, all you need to do is head to Aeropostale’s Like2Buy page and proceed to checkout with just a few taps. Retail-centric apps and services are also common in the fulfillment space. We’re increasingly seeing retailers seek help from third parties to get their products into consumers’ hands quickly and easily. Take Apple, for example. The company has teamed up with logistics company Postmates to offer same-day delivery to its customers. Meanwhile, AT&T has partnered with personal commerce platform Enjoy to provide hand-delivery services to shoppers. With this new partnership, AT&T customers who purchase phones won’t have to swing by a store to pick up and activate their devices. Instead, they can just wait for an expert from Enjoy to hand-deliver their new phones and get them set up. Moving forward, these omnichannel efforts will be the difference between the retailers who succeed and the ones who fail. Ryan Baker, Co-Founder and CEO, Timely. “In the coming year, even more innovations will be available for retailers to take advantage of. While this creates opportunities to succeed, it also strains your most valuable resource: time. One of the greatest resources that any business owner — and especially those in retail — can hope to tame is time. Taking control over your schedule, your admin, and ultimately the successful operation of your business means equipping yourself with the necessary tools to handle the job so you can get back to dealing with what is most important: your customer. Not all tools are created equal, nor do they all play nicely together. Moving into 2017, it will be more important than ever to have tech solutions that work well together. Ensuring your business is perfectly synced means choosing apps that both make your life easier and integrate seamlessly to maximize their overall benefits. 12. 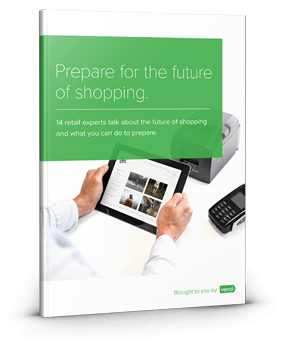 Retail and technology will become even more inseparable. As part of the effort to provide consumers with better experiences, retailers will incorporate technology even further into their businesses. In 2017, evolving technology in the retail industry will be instrumental in enticing customers into physical stores and in creating seamless omnichannel shopping experiences. Artificial intelligence, augmented and virtual reality, and the Internet of Things will stake firm claims in retail as tools that brick and mortar and online retailers alike can use to further elevate and personalize each step of the process. Some examples of what we can expect? Augmented reality that allows consumers to virtually experience products as they might use them in their own lives, smart dressing rooms in fashion stores, and glass touchscreens as interactive components of storefronts. Many small and medium businesses will adopt retail technologies as well. Expect to see SMBs roll out loyalty apps, customer displays, and other solutions that take the shopping experience to a new level. “As cloud technology has by-and-large become normative in industries across the board, we’ve seen a strong emphasis on partnerships amongst the leading providers in an effort to overcome the more antiquated yet still prevalent legacy systems. A useful byproduct of these partnerships, and one we think will become a huge talking point in 2017, is the development of enterprise-class solutions available to the small/medium retailers. Where recent solutions found themselves slightly limiting for business owners maintaining multiple locations, dealing with large staff management, or even handling multiple sales channels, we’ve been thrilled to see vendors integrate targeted applications in these areas and more — all into a single solution. Now an SMB retailer can have its own mobile ordering app and its own internal employee management app, launched within days. This has also led to the increased integration of direct customer interaction via customer displays, menu boards, loyalty applications, and many other ways that really make the consumer feel much more a part of the process. 2017 will favor retailers who come up with smart, bold ways to personalize & elevate every aspect of the shopping experience. Seamless omnichannel strategies will once and for all become absolutely essential, and retail will propel itself into the future through implementation of experience-enhancing technology such as artificial intelligence and augmented reality. Recap: Here are the trends to watch out for in 2017. Retailers who promote product quality, transparency, and sustainability will flourish. Stores providing unique in-store experiences will thrive. Retailers across the board will adopt mobile payment solutions. Smaller stores are in; larger stores are out. Personalization will become increasingly important to consumers. Same-day shipping will become more prominent. Retailers will continue to invest in omnichannel. Retailtainment will pervade the industry. Data will continue to be a significant component of retail success. Specialty stores will be more productive than department stores. Retailers will turn to apps, services, and third parties to fulfill the needs of modern shoppers. Retail and technology will become even more inseparable. Check out our 2018 Retail Trends & Predictions for more updated content.